Get ready for the most amazing celebration this town has seen! 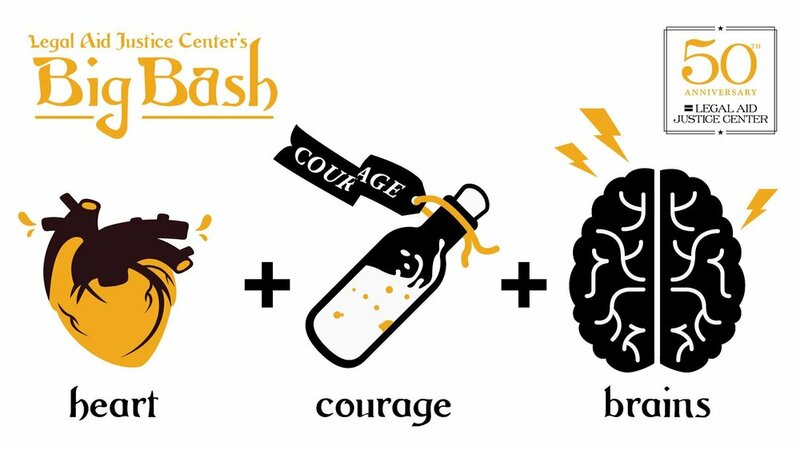 Legal Aid Justice Center wants you join us for the Big Bash! It's been 50 years on the yellow brick road to justice for our team here in Virginia and we are celebrating with style. Join us and our partners at The Underground Kitchen for a whimsical, wild evening filled with surprises! Tickets are on sale and are likely to sell out! VIP : The Yellow Brick $1,000 includes 2 event tickets with VIP privileges. VIP 's and Sponsors are invited to a special UGK pre-event tasting, complete with beer, wine, and cocktail pairings!